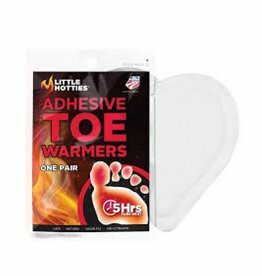 Little Hotties Toe Warmers--5 hrs of pure heat. 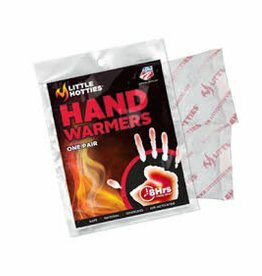 Hand Warmer, Heating Time Up to 8 hr., Length 3-1/2 In., Width 2 In., Package Configuration Pair, Average Temp. 135 Degrees F, Activates By Contact with Air, For Use With Gloves, Pockets.